Are you looking for Dead Sea Tours from Aqaba Port? Set out from your ship and Enjoy Aqaba to Dead Sea Tour. 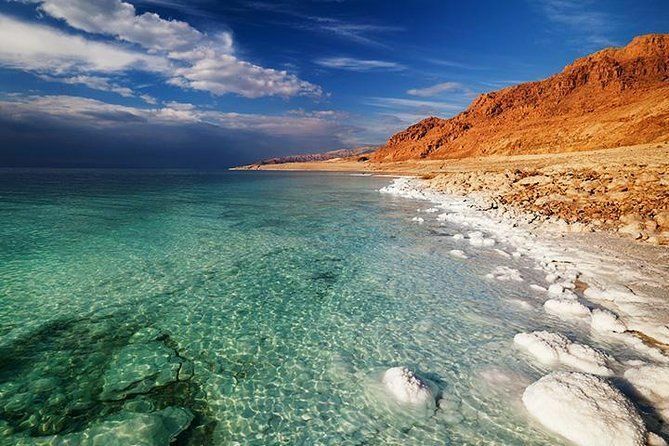 The Dead Sea has the lowest elevation on Earth, 400 meters below sea level. Spend the day floating in the salty water. Hotel pickup and drop-off (if option selected). In this Dead Sea tour from Aqaba Port. Your tour manager will pick you up from Aqaba Port by the cruise exit door. After that, you will be transferred by an air-conditioned vehicle for about 2.5 hours to the lowest point on earth and filled with a variety of minerals with medicinal properties the site has developed into a health spa-like hotspot. The mineral concentration in the mud is used for therapeutic and beauty treatments. Queen Cleopatra and Sheba both were said to have known the value of the site and used it. Due to high salinity the water supports no form of life hence the name the Dead Sea and floating is very easy. Be sure to prepare to swim and relax in the mud. Arrived at the Dead Sea you have leisure time, the chance to float on water then drive back to Aqaba port.